Breaking Glass Pictures, a Philadelphia-based independent film distribution company founded by film industry veteran Rich Wolff,will receive the industry award from qFLIX Philadelphia, the LGBTQ+ Film Festival produced and presented by Thom Cardwell and James Duggan, the legendary film festival producers who brought life back to the Philadelphia LGBTQ+ film festival. The festival will present its inaugural qFLIX Philadelphia 2019 Industry Award to Wolff as part of the closing night ceremonies. 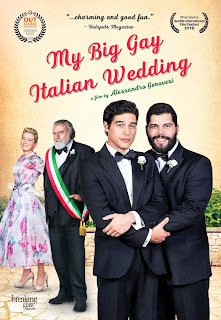 Following the awards ceremony will be a screening of the closing night film “My Big Gay Italian Wedding,” an Italian musical comedy being distributed by Breaking Glass. The program will take place Sunday, March 31 at The Perelman Theater at the Kimmel Center for the Performing Arts beginning at 8pm. qFLIX Philadelphia will also be screening a number of other Breaking Glass titles including: "Devil’s Path," screening Tuesday, March 26 at Play and Players beginning at 9:30pm; "We Are Thr3e," screening Thursday, March 28 at the Connelly Auditorium at the University of the Arts beginning at 9:30pm; "Kill the Monsters," screening Friday, March 29 at the Connelly Auditorium at the University of the Arts beginning at 5:15pm; and "Kanarie," screening Saturday, March 30 at the Connelly Auditorium at the University of the Arts beginning at 5:00pm. 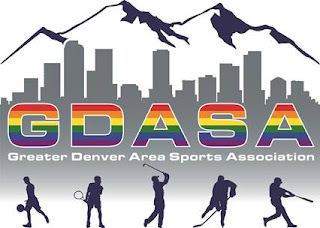 As qFLIX Philadelphia celebrates twenty-five years of LGBTQ film festival in Philadelphia, the nonprofit with its all-volunteer team has stayed true to its mission of presenting indie films that are “by, for, and about” the LGBTQ+ community. As the official program guide notes, qFLIX Philadelphia is all about “diversity and all-inclusiveness.” There is controversy and conformity, adversity and acceptance, warnings and whimsy from the 120+ films with an international flavor representing over 29 countries. “For its outstanding support, it’s a pleasure to present the first qFLIX Philadelphia 2019 Industry Award to Breaking Glass Pictures,” agreed Duggan and Cardwell.